We are a volunteer-run tennis club in Queens Park, Brighton, with six hard courts and a club house. We offer club sessions and team competitions, tennis coaching for juniors and adults, and private lessons. Or you can just have a hit. We have an online court booking system available to all (£8.20 per hour for non members). 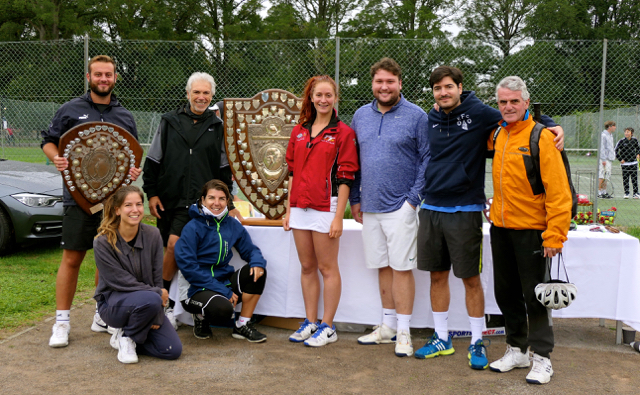 Our club teams compete in the Brighton & Hove Parks Tennis League. We are affiliated to the Lawn Tennis Association. Club sessions are held throughout the year (Mondays, Fridays and Sundays in summer). For details of our busy juniors tennis programme please click here. Membership is just £100 per year for adults (£50 students, £35 Juniors). Click here for details, or drop by for a club session. Visitors are welcome – you don’t need to be a member to book a court. Click here. Click on the logo to find out more about The Parks League, Brighton & Hove’s most popular annual tennis competition. The Parks League involves 11 clubs, 40 teams and 650+ registered players. Queens Park enters five mixed teams every year. Contact the club secretary to find out more. New players welcome!